CPES congratulates our newest graduate, Yincan Mao! 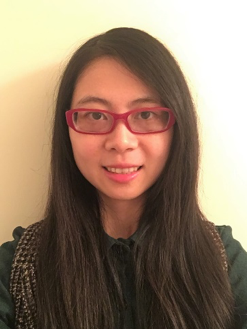 Yincan Mao completed her Ph.D. program in December 2017. Her dissertation, "Passive Balancing of Switching Transients Between Paralleled SiC MOSFETs" and defense presentation are available online CPES Principal Plus, Principal, and Associate members via password access. Yincan received her B.S. degree in electrical engineering from the University of Electronic Science and Technology of China in 2012. Her research interests include modeling of resonant converters and wide bandgap power semiconductor devices. Since graduating, Yincan has joined Enersys as a Senior Power Electronics Engineer in Reading, Pennsylvania. She enjoys music, reading, sports, and cooking in her spare time. Congratulations, Yincan! We wish you all the best.